Gulf Cartel | Strike of Lightning! Tamaulipas, an exchange of guns for groceries and appliances! will it work? Tamaulipas, collecting weapons in exchange for food! 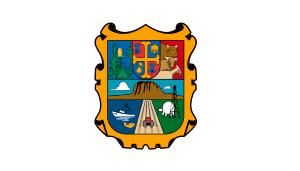 Through the State Public Security Ministry, the government reported that Tamaulipas under the Comprehensive Program for safety, the authorities of the Ministry of National Defense, the state and the municipality of Ciudad Victoria will start this campaign to receive/collect, weapons and firearms which people have in their possession. Starting from 7-11 November of next week the Ministry will install these stands at known points of the city, where people who voluntarily want to exchange their guns for staple goods or appliances can go. According to state institutions, this program has been conducted in other municipalities of the state where an influx of citizens found acceptable to avoid the use of firearms and thereby prevent crimes. The development of these activities, in strict compliance with the guidelines established for this fact, people surrender their firearms will not be subject to investigation and protect your identity, so that the artifacts will be received in an anonymous and confidential. One of the points where they will be carrying out the swap, Tamaulipas Cultural Center will be located will be performing at the Cultural Center located in Tamaulipas and the capital city services will be from 9:00 to 16:00, in the period mentioned above.